Mar 06, 2017: (First time) About to set up a cable internet connection in my apartment, just want to make sure I'm not missing anything. Jun 06, 2017: Good Modem/Router Combo? Jun 07, 2017: Router/Modem Combo? Jul 06, 2017: New to this sub. Not sure how it works. Aug 06, 2017: Thoughts on this router and modem? Aug 15, 2017: Wifi issues! Aug 24, 2017: Attempting to fix a dead zone in my room. Aug 24, 2017: Attempting to fix dead zone in my room. Sep 07, 2017: New router/modem help! Feb 23, 2018: How is the ASUS RT-ACRH13? Good for basic home wifi? Apr 24, 2018: Help deciding between two routers. Apr 24, 2018: Need help deciding between two routers. 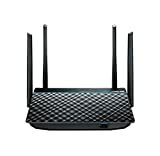 Jul 16, 2018: Help find a ~$70 wireless router (router/ap combo). First step towards a home networking journey. Aug 27, 2018: Can a regular router be used as a wifi range extender? Oct 09, 2018: Is this router a good pick for my 150 Mbps plan at comcast? Nov 08, 2018: Looking for recommendations for a budget friendly modem/router option that will satisfy our usage needs. Nov 29, 2018: Can I use my own WiFi router with the provided Xfinity modem? Dec 08, 2018: which router?